Last summer I blogged about my experiences exploring digital storytelling at a Bard IWT workshop. Many months later, I've finally had the opportunity to use some of the ideas generated from that workshop in my 5th Grade English classroom. 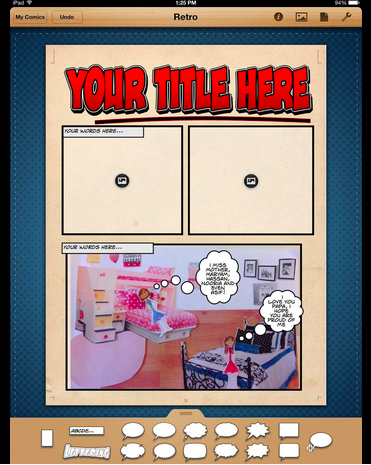 Using ComicLife, my students are creating comics that feature the protagonists of some of the novels we've read so far this school year, and I feel absolutely giddy with excitement over the progress they've made in just a few class periods. The first step of this project was to write scripts of conversations between 2-3 fictional characters (Esperanza from Esperanza Rising, Parvana from The Breadwinner, and Serafina from Serafina's Promise). As a class, we brainstormed various topics of conversation these characters might have (i.e. what are their shared experiences, where might they cross paths as young adults or even grown ups, what would their interests be) and then I gave my students time to plan out their settings, plots, and conversations. Once first draft writing was complete, I asked students to pick two settings or backgrounds for their scripts, which they then drew on paper. In order to appeal to a variety of artistic sensibilities, I invited them to draw by hand, print images from the internet, or combine both mediums to create a collaged background. The results were stellar, and I've spent the past week walking around my classroom completely full of awe and excitement over this project. As students finished their backgrounds, their next step was to create characters to place in the scenes. We settled on referring to these characters as paper dolls, as they were static figures but could be enhanced with various accessories and expressions. The paper dolls could be as simple or elaborate as each student desired, and we had great fun exploring how easy it is to turn a basic stick figure into a character full of personality and attitude. 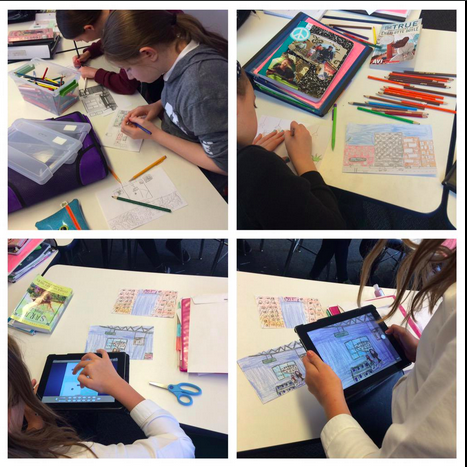 With scripts, settings, and characters ready to go, students then began using Comic Life, an absolutely incredible app available across multiple platforms. We worked on iPads, but I know from experience that Comic Life is just as user friendly on tablets as it is on the web interface. 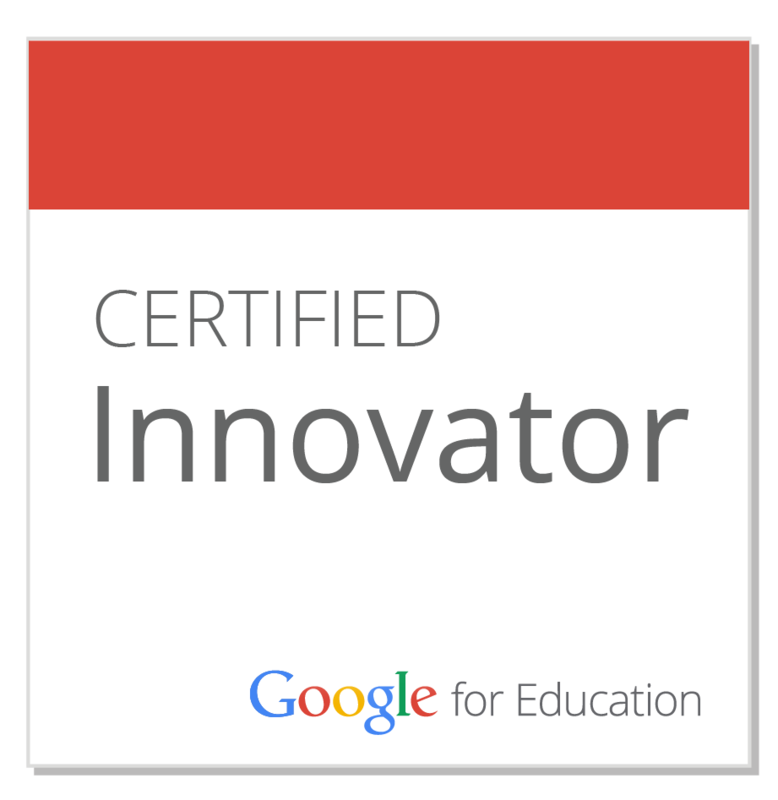 After I showed one of my sections a brief (extremely brief!) tutorial on how to use Comic Life, I decided that for the remaining sections I'd let them take a problem solving approach to the app. I demonstrated only how to create, name, and save a new file, then let my 5th Graders figure out how to change graphics and color schemes, resize frames and images, and play with photo filters. It was, of course, no surprise that they quickly became Comic Life experts, occasionally coming to me for more nuanced problems but primarily helping one another solve problems. 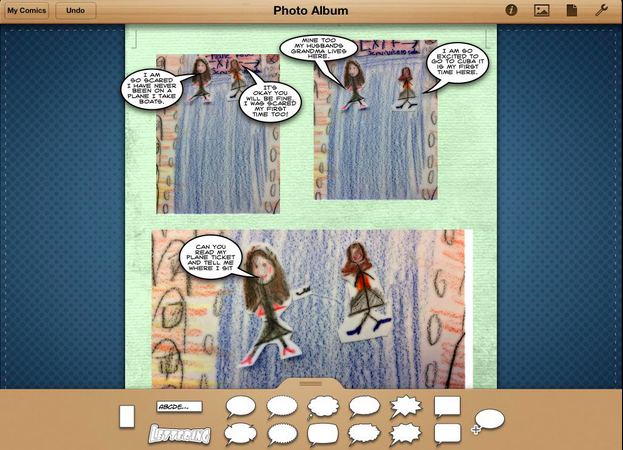 As they moved their characters through scenes and added speech bubbles to incorporate dialogue, students recognized that they were relying on some of the knowledge they gained during a previous stop-motion animation project to help plan out scenes and move their stories forward. I wondered if the connections between digital and traditional storytelling would also be apparent to my students, who frequently came to ask me if it was OK to change something from their original script in order to fit the parameters of this new medium. This proved to be an excellent opportunity for me to remind them that they make changes to their written work all the time, and we call that drafting, editing, or revising. Thought they're currently working in a digital format, they're still relying on the traditional writing process of collecting ideas, drafting a story, revising and editing that story, and ultimately publishing a final product. Final comics should be completed next week, and I'll post some of them here then!